How did you find Resident Evil 7’s reinvention of the series? Depending on how you feel about it, you’re just about to hear some good or some bad news. It looks like the next Resident Evil game will continue with the first-person perspective introduced in 7, judging by comments made by executive producer Jun Tekeuchi in a recent video. If you miss old-school Resi enemies, check out our list of the best zombie games. For me, Resident Evil 7 was brilliant, so I’m well up for seeing where Capcom can take it. I kinda hope they go the Resident Evil 2 route and take us into a zombie-infested city again – show us that scenario from this new perspective. I’m done with gloop monsters now. Speaking about the reception from players, Tekeuchi says it “shows that the concept [Capcom] chose was the right one”. “We wanted this title to be the start of a new kind of survival horror and of a new series,” he says. “We’re already thinking about various plans for the next game, but we also want to see how we can continue to evolve survival horror itself. So they want to keep it character-driven, and it sounds like they’re happy with the perspective shift, so all that’s left to make a big change is a shift in scenario. Maybe we’re getting Raccoon City after all. 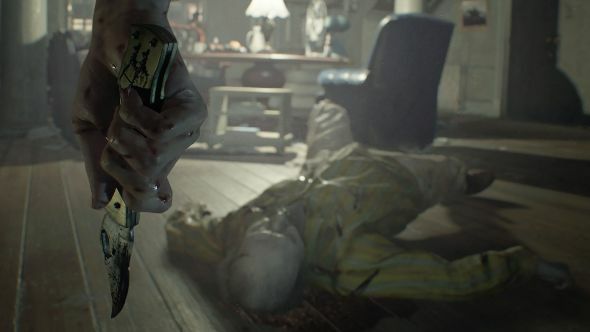 “Plans for the next title are already in motion and, when you see that game, you may find that it is very different from Resident Evil 7 in some ways,” teases Tekeuchi. Have a watch of the video above, as it’s really well put together and it has some super interesting foley sound design stuff in there too.